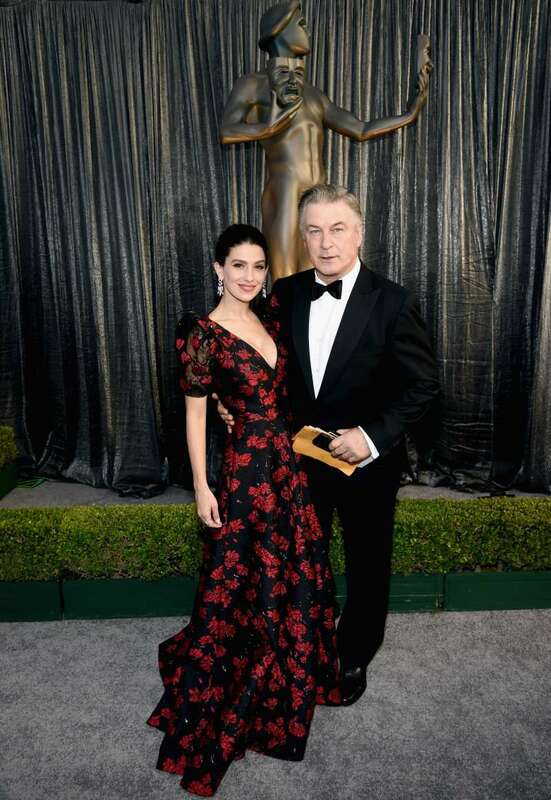 It seems that Alec Baldwin has found his one and true love. The actor has been living a happy life as a married man since he tied the knot with a yoga instructor, Hilaria. The couple married in a romantic ceremony back in 2012. Over 25 years of age gap didn’t stop the two to fall in love and start a family together. Hilaria gave birth to Baldwin’s 4 kids and, who knows, maybe the fifth one will be on the way sometime in the future. Pregnancy doesn’t seem to have any effect on the yoga instructor’s figure as she looks just as gorgeous as she did before giving birth to 4 children. Recently, she showed off her stunning body as she joined her husband at SAG awards. 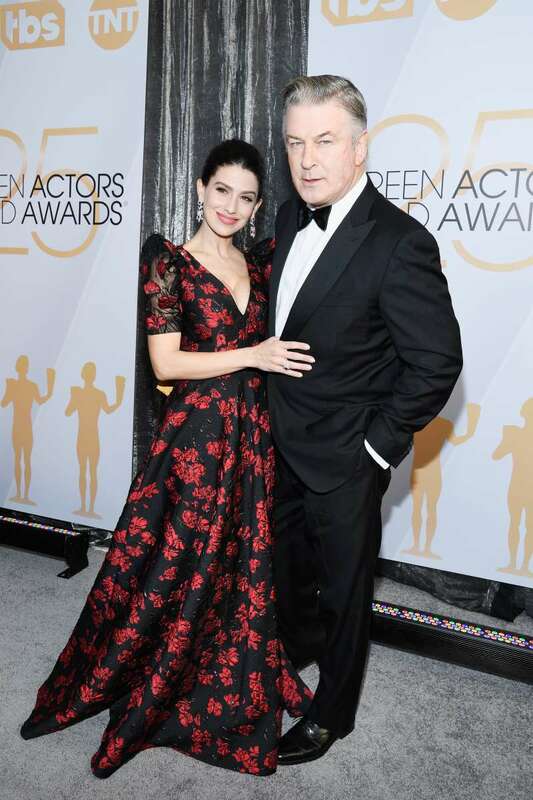 Hilaria and Alec Baldwin graced the SAG Awards' red carpet to demonstrate once again that they are the power couple everyone should be jealous of. The two looked utterly gorgeous as they posed together in front of the cameras. 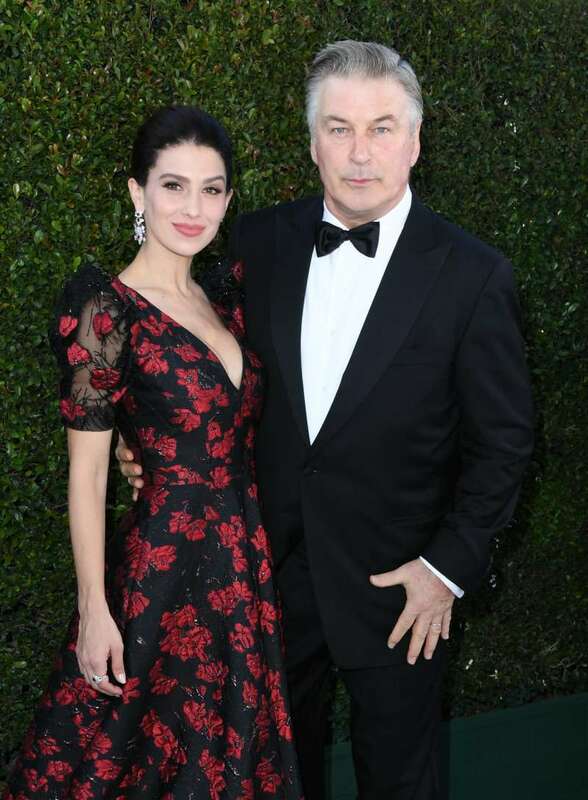 Alec sported a classic pair of a smart black tuxedo and a bowtie while Hilaria donned a full-length elegant black dress with a romantic red rose pattern. The mom-of-four looked extremely feminine as she tied her hair back and finished her ensemble with sparkling earrings. It’s really our lives, it’s been a bit of adjustment. We have had four kids in four-and-a-half years and we have to adjust to where it’s all about our kids. Baldwin also has a 23-year-old daughter, Ireland, from his previous relationship with actress Kim Basinger.